This helpful guide is designed to help home and building owners better understand the benefits of metal roofing in residential construction, as well as commercial applications. After reading this guide you will have a solid understanding about popular metal roofing materials and profiles used for residential homes, commercial buildings and green building inspired renovations. 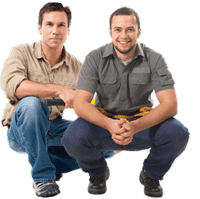 We carefully choose the products we use to provide you with the best combination of quality product, professional installation and longest warranty. Although metal roofing is supposed to be a lifetime product, some metal roof systems are far superior to others, and these are the ones we choose to work with. There are some metal roofing products on the market which we would not install and do not recommend for use. There are also systems which are no longer produced due to their faulty design and poor performance. This is why we carefully examine all aspects of each metal roofing system before we install it. Most metal roofs that we install are Tamko Steel Shingles, which comprise about 65-70% of all metal roof installations that we do. Reason for such popularity is relatively low cost, great durability and corrosion resistance as well as beautiful appearance. 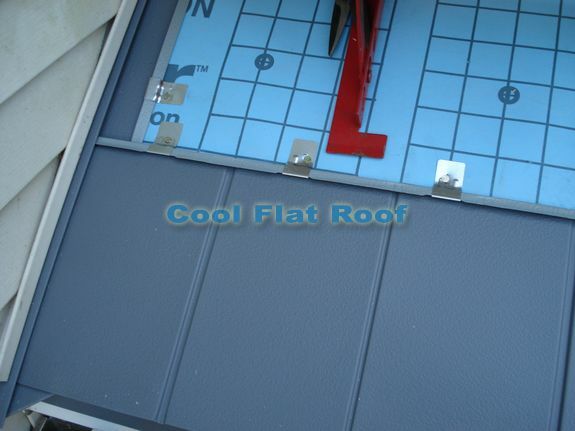 Snow guards help prevent snow from sliding off the metal roof – usually installed over entrances and walkways. Extremely versatile metal roofing system, that is rated for a 110 mph hurricane winds, and can be installed on virtually any roof, no matter how cut-up the roof is. Comes in a range of standard colors, and can be custom ordered in your color choice (a minimum quantity order is required for custom colors – contact us for details). 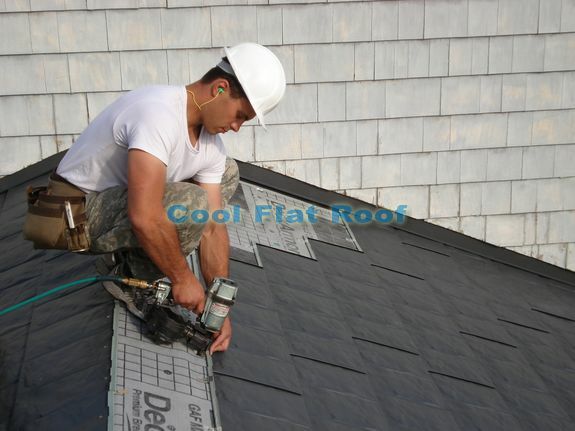 Advantages of this roofing system include 4-way Inter-locking design, where each shingle is held in place by 6 other shingles, 3/4 inch lock width and superior advanced flashing designs with options of creating custom flashing at the job site to accommodate any roof penetration or detail. Tech info: .019″ aluminum, coated with Kynar 500 Cool Roof coating. These beautiful 4-way interlocking steel shingles are produced by Tamko using G-90 premium steel and are painted with Cool Roof premium Kynar 500 baked on coating. These steel shingles feature a 50 year limited material warranty, and a 20 year paint warranty, which is standard for Kynar paint from any manufacturer. Tamko steel shingles come in a variety of colors and 3 distinct profiles: Natural Slate, Concrete Tile and Cedar Shingle / Shake. Pictures below demonstrate Grey Tile and Vermont Blue Slate profiles. 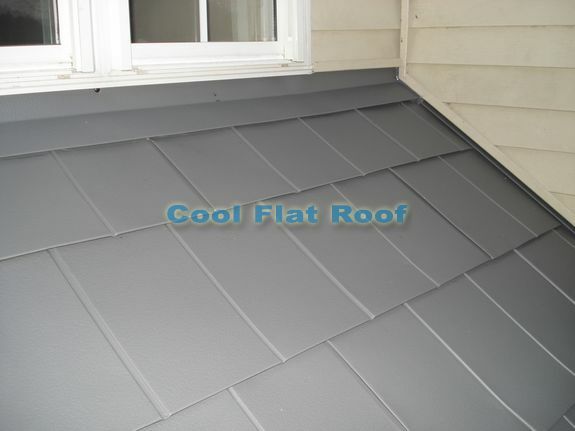 Steel interlocking shingles are installed over GAF Deck Armor – a premium synthetic underlayment, which ensures a long-lasting leaks free performance of your roof and extends the life of a roof deck. We always recommend an aluminum metal roof vs. steel, as aluminum is a metal that will not rust, whereas with steel there is that chance. However, there are few steel roofing systems that we install and know that they will last a lifetime. We’ve seen first-hand how scrap pieces of our steel roofing have been laying outside for years, without a single spot of rust, and we fully backup these steel roofing systems with our lifetime installation warranty. 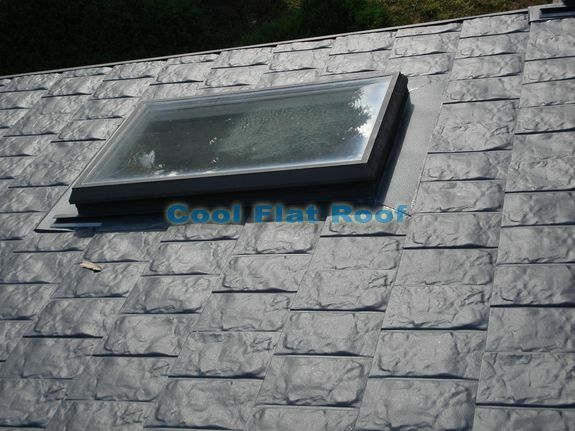 Metal Shingle is a popular choice for many residential metal roofing applications. 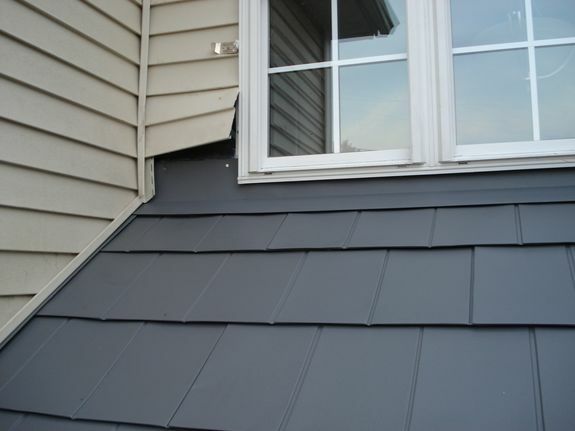 Metal Shingles are manufactured by many different metal roofing manufacturers and come in a wide range of styles such as shingle, slate and tile that look beautiful on many residential homes. Metal shingles are re-manufactured and come in boxes, which makes it easy to ship and install. Metal Shakes offer the popular look of Cedar Shake, but free your from worrying about rotting, cracking and discoloration issues typically associated with cedar shake. They seem to be a popular choice for homeowners who live in highly wooded areas where the cedar shake look fits right in. 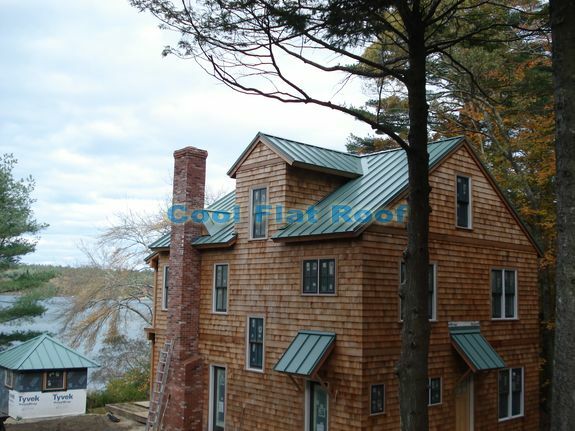 Standing Seam roofing systems are widely used in both residential and commercial applications. They offer a great degree of protection for your building, are lightweight and can further be equipped with solar panels. No matter what metal roofing material or style you choose for your roof, you invest into a reliable and long lasting protection that is safe for the environment, and provides great energy savings that will help pay for the new metal roof over time. And remember, your new metal roof is only as good as the crew who does the installation, therefore be sure that you hire a company that specializes in metal roofing. One of the main benefits of metal roofing is its unsurpassed longevity and durability that comes from its predecessor tin roofing, which has been used to protect homes for a very long time. Unlike tin roofs, which were bent and hand crafted during installation by tin roofers, modern metal roofs are manufactured in a wide array of residential and commercial profiles. These roofs offer a variety of unique styling choices, are made from different materials, and are coated with a wide array of colors aimed to please the most demanding building owners. Modern Metal roofing profiles are coated with special solar reflective paint that not only looks beautiful, but also reflects solar radiant heat, which keeps your home or building cooler and results in a reduced AC load, which can be significant in terms of energy savings. Metal roofing is a fully recyclable roofing material that contains a significant proportion of post consumer content and can be recycled at the end of its service life, which can exceed the life of the building itself. Metal Roofing is considered a green roofing material because it is an energy efficient and environmentally safe building material that can earn LEED credits in construction of energy efficient homes, and green building applications. 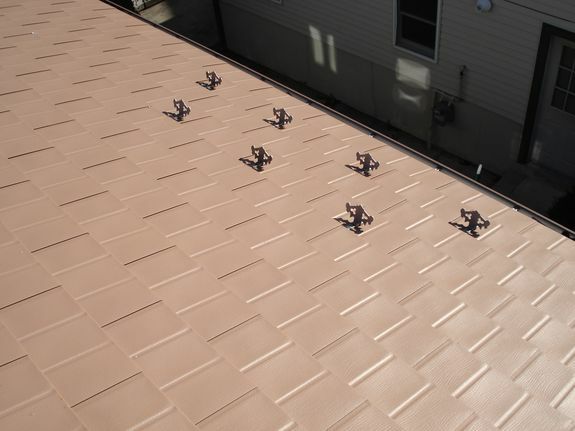 Latest technological advances have made it possible to combine some metal roofing profiles such as standing seam with soft solar roofing panel laminates that do not require physical penetration to metal roofing panels, but rather get attached using the latest peel and stick method for standing seam roofs. The combination of metal roof and solar panels results in a roof that provides environmentally-safe electricity to the building owner, as well as peace of mind that results from the longevity and reliability that standing seam roof has to offer. Metal Roofs offer unprecedented reliability and durability, often outlasting conventional roofs by a factor of three. Not only does a metal roof last a long time, but it also provides reliable protection against strong hurricane winds that can easily rip conventional asphalt shingles from the roof of the building. In fact, many roofs in Miami Dade County, Florida are steel metal roofing profiles that can withstand category four and five hurricane winds, as well as offer beautiful styling. Metal Roofs are light weight, which makes it a perfect choice for re-roofing overtop applications. Metal Roofs weigh only a fraction of what a typical asphalt shingle roof weighs. What this means for the homeowner is that if they want to upgrade their home with a Spanish Style tile roof, then they would probably have to reinforce their roof structure. On the other hand, a Spanish Tile style metal roof weighs only half of what an asphalt shingle roof does, yet it offers the reliable protection of a metal roof, is easier to install, and does not require the reinforcement. Many modern metal roofs are coated with a special coating, which makes it easy for any accumulated snow to slide off the roof, which helps to prevent ice dam formation on your roof. Ice dams are a common problem for many older homes in the Northern States. 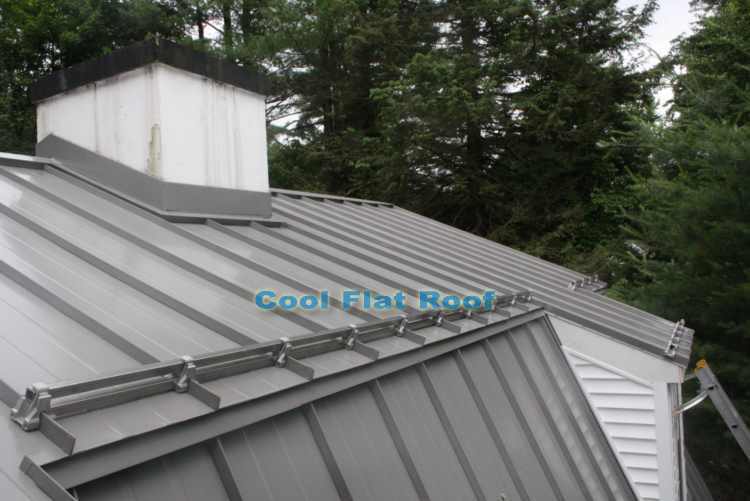 In fact, one of the reasons for the popularity of metal roofing in states like New Hampshire, Maine and Vermont is that they offer reliable protection in tough northern climates. Metal roofs can provide unique curb appeal and make your home beautiful, but did you know that a metal roof actually increases the value of your property, and makes it more desirable in the eyes of potential buyers? Although initially higher priced than many other roofing systems, a metal roof can pay for itself not just in terms of its longevity, reliability and energy savings, but also in the increased value of your property. 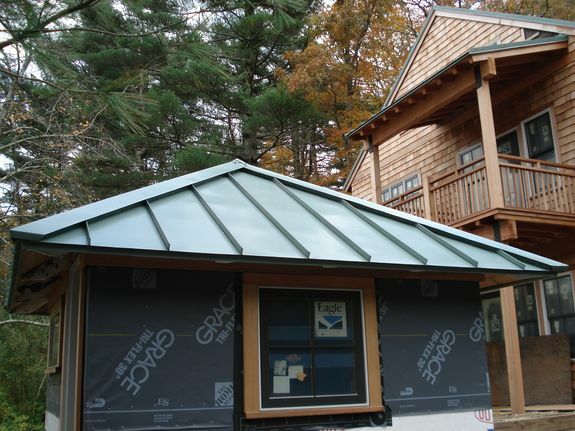 Overall, a metal roof can provide over 80 percent return on each dollar spent. Just like any high end technology, metal roofing is not cheap, so expect to pay for its superior performance. In fact, the initial cost of a metal roof is one of the main negatives that makes many consumers hesitant to invest into a new metal roof. In most cases, people who decide to invest into a metal roof plan on staying in their home, and want to enjoy the beauty and reliable protection of the last roof they will ever have to install. Metal Roofing prices vary depending on the roofing contractor who does the work and geographic location. The North East and Western states, such as Oregon and California have the highest metal roofing material and labor costs. California also seems to be the leader in green building and PV solar technology, which makes metal roofing fit right in. On average, expect to pay three times the cost of a regular roof to renovate your home with a new metal roof. Since metal roofing is pricey as an initial investment, it probably makes more sense for somebody who plans to stay in their home for a longer time, or is specifically interested in a new metal roof for its reliability, protection and curb appeal. Steel is one of the most commonly used metal because it is an affordable material that offers a great degree of longevity and protection for your building. All the modern steel roofing profiles are protected with special zinc alum coating that prevents rusting and oxidation of the metal roofing panel. Aluminum offers a higher degree of protection than steel, because it is not susceptible to rust and rotting. The recent decrease in the prices of aluminum has made it more affordable for use in metal roofing and green building applications. Aluminum roofs are lightweight and permanent, provided they were properly installed. Copper is a viable and smart choice for high-end homes, and historic places. Copper Roofs offer unmatched beauty and can last well over seventy years when properly installed. Copper is without a doubt one of the most expensive metal roofing materials, but the ageless beauty of copper can provide a beautiful and distinct look for your home. Metal roofing can be done very efficiently if the roofing contractor uses professional roofing and cladding estimation software such as AppliCad’s Roof Wizard. Using a commercial grade software will ensure accuracy of material and labour calculated, which will in turn reduce time on the roof, and reduce material wastage. 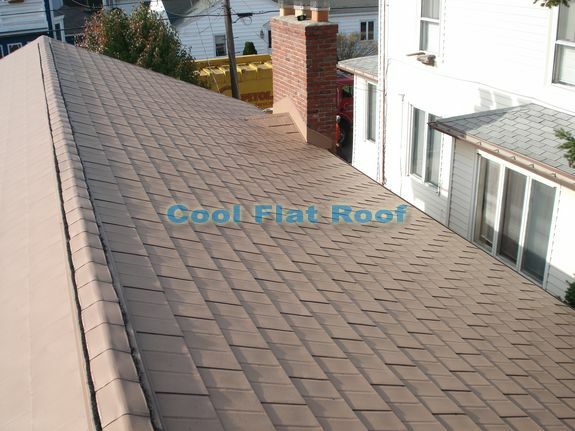 Steel Interlocking Shingles are much more in demand nowadays & are much expensive then Aluminum Shingle. However the quality also ranges in both the cases. I prefer Aluminium Roofing over Steel because of its benefits like not susceptible to rust and rotting. 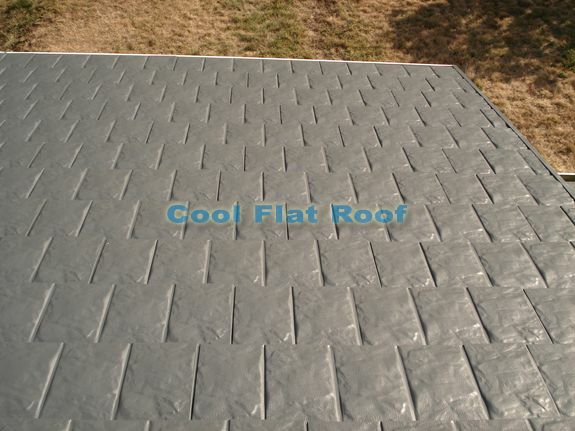 Also these roofs are lightweight and easy to install. The list is much more than this. Also this provides beautiful and distinct look for your home. I am Erios Nabatanzi from Uganda, i completed my course in engineering in 2012 December, am in house constructions(roofing’s) in uganda but through the search i have made you do have good and strong coated shingles because one of the Ugandans bought them from your company. so far many people from Uganda love these such kind of shingles but the capability of getting them is low. no branch in and surrounded countries that do have these shingle. am requesting you kindly to branch of to our country since Uganda are still developing up. Great Post. I think that metal roofs are a wise investment and metal roofing actually costs less than asphalt roofing and others when life cycle costing is considered. I gave an advice to one of my friends to have a metal roofing instead of asphalt but he wasn’t sure. I will send him this article and i am sure he will change his mind. Thanks for sharing. I will prefer steel roofs.It is an affordable material that offers great degree of longevity and protection for our building. All the modern steel roofing profiles are protected with special zinc alum coating that prevents rusting and oxidation of metal roofing panel. please understand our e-mail message without your approval. It’s my pleasure to contact you at this time as the staff of Korea Clad Tech Co., Ltd.
Our company is Top class clad metal maker which has the factories in Korea and China. We know that your company is using variety of materials for your product items. At this opportunities, we would like to recommend you to test our CSC 3ply clad metal for your products. We assure that you can be satisfied with our good quality clad metal with best service. We will wait for your favorable reply. Thank you in advance for your kind cooperation.